Belay glasses have come a long way over the past 10 years. Once hard to find, often requiring an online order from overseas, they’re almost commonplace nowadays. With this increase in availability has come a variety of options with ranges of quality, cost and style from different manufacturers. 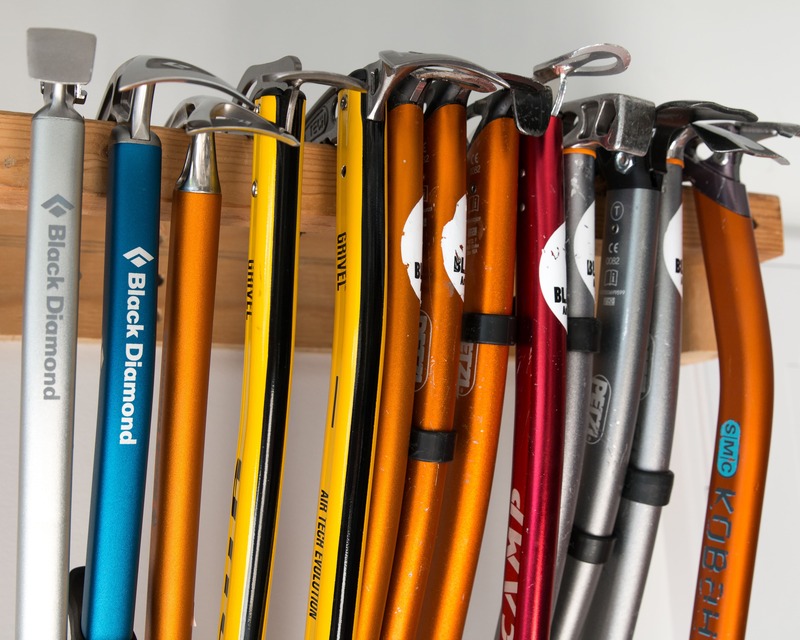 But now that we have a spectrum of different belay glasses to choose from it’s harder to decide on what to get. Are the more expensive ones worth the extra money? 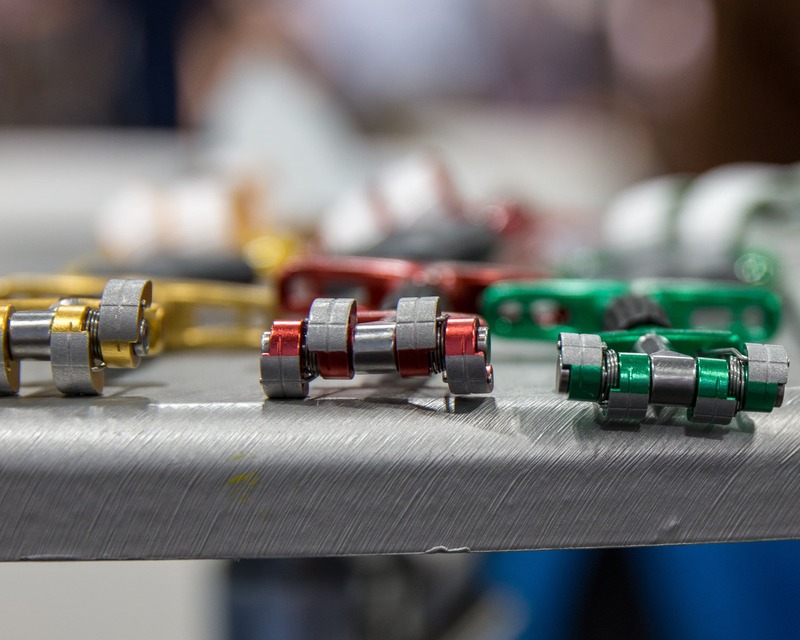 What’s the difference between a ridged or flexible frame? How do the optics compare? To answer those questions and more this article will compare a few of the more popular brands head-to-head. 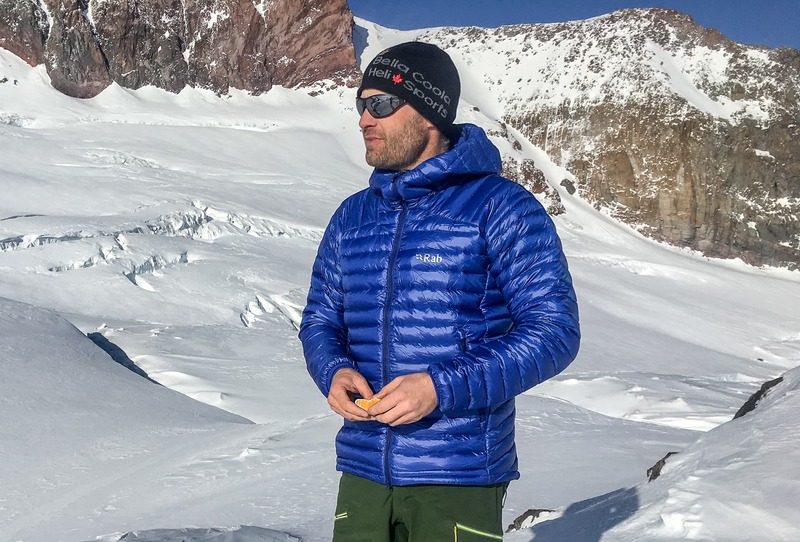 A summary of the comparison is provided below followed by a more detailed review of each pair of belay glasses. 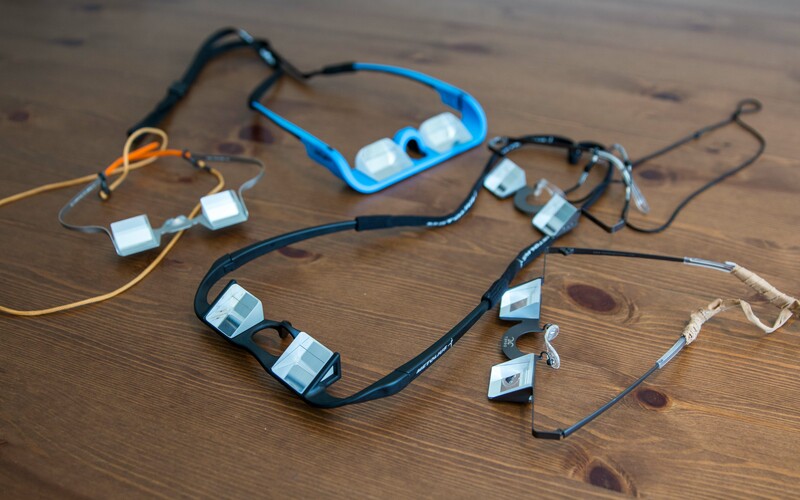 The line-up of belay glasses that we reviewed. * As Tembo is a Canadian company the actual MSRP is $70 CAD. I used a $1.30 CAD/USD conversion rate to get the USD equivalent. Frames: As you can see in the above table, there are basically two different types of belays glasses: rigid frames and flexible frames. The rigid frames offer a stiffer platform that’s a little less finicky to put on but a bit heavier. Optics: The quality of the optics on each of the glasses is not noticeably different unless they’re compared directly against one another. And even when comparing them side-by-side it wasn’t easy to differentiate between the various glasses . The exception is the Belaggles which sport much larger prisms than all the other options. So, while there are slight differences in the quality of the optics, you’d be hard pressed to notice. Aside from the quality of the optics, the side-by-side comparison highlighted a slight difference in magnification between the various models. The CU, Y&Y and Belaggles seem to offer a hair more magnification than the Metolius and Tembo glasses. 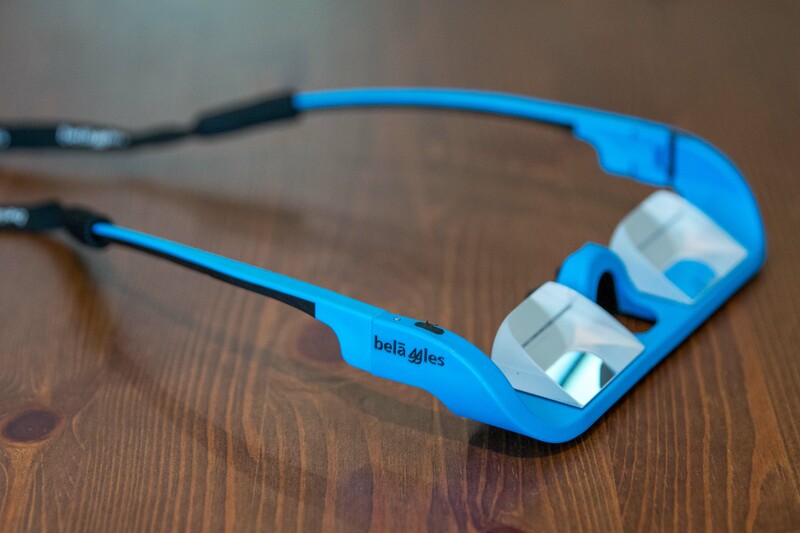 The Metolius Upshot belay glasses in black over the Belaggles in Blue. Note the difference in the size of the lenses. 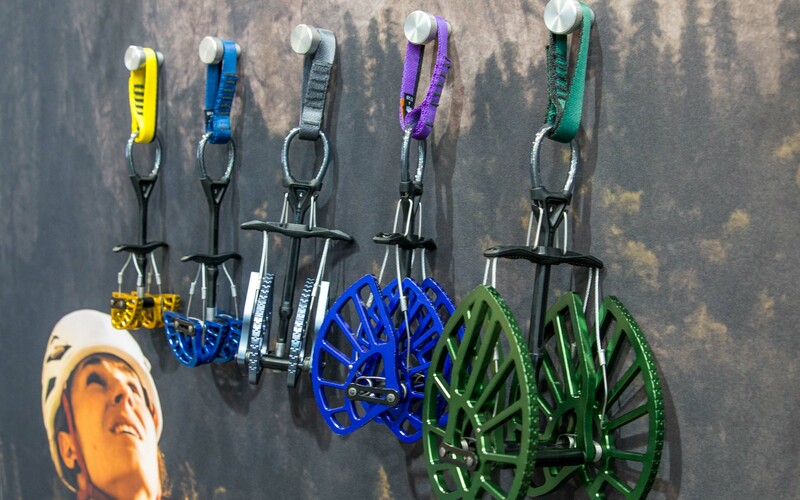 For gym climbers the Belaggles are the obvious choice. Weight doesn’t matter and the large optics offer a wide field of view through the lens. This gives the belayer a good view of the wall while blocking a lot of the distracting movement occurring on the ground. For the outdoors the lighter and less expensive Metolius Upshot and Tembo belay glasses are a great option. They’re only $5 different in price and feature very similar optics and cases. The main difference is the frame. So the choice is really between a rigid or flexible frame which comes down to personal preference. 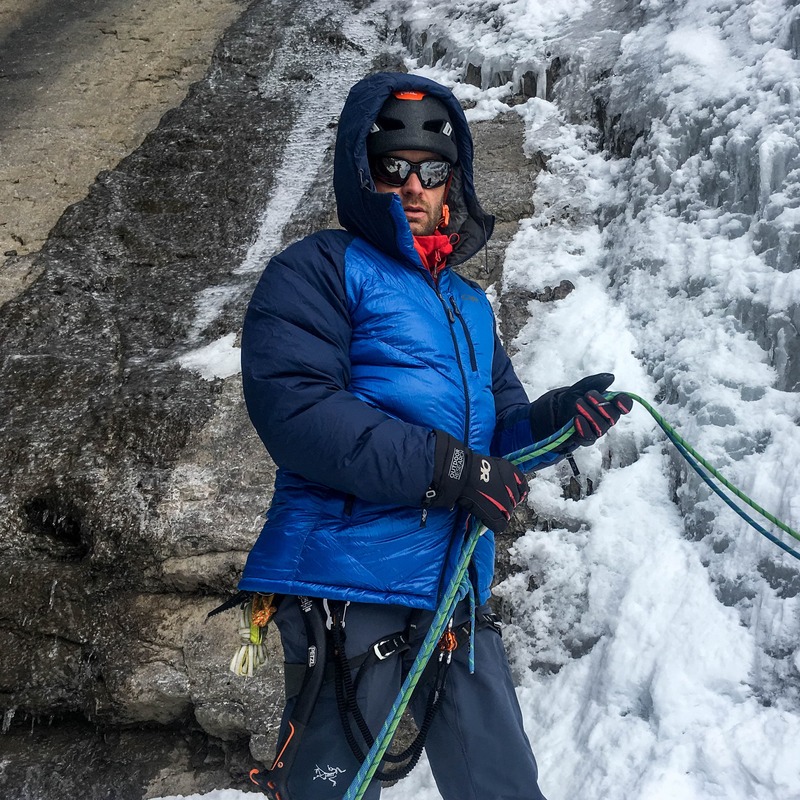 A more detailed review of each pair of belay glasses is provided below. If you’d like more information on a specific pair just keep scrolling. Let’s start with the company that created the original belay glasses, the guys that got it all started: CU. The review pair are one’s that I purchased a number of years ago though it doesn’t look like their design has changed much over time. What has changed is the cost. With increased competition and popularity the price of these glasses have gone down a bit though they’re still the most expensive option that we reviewed. 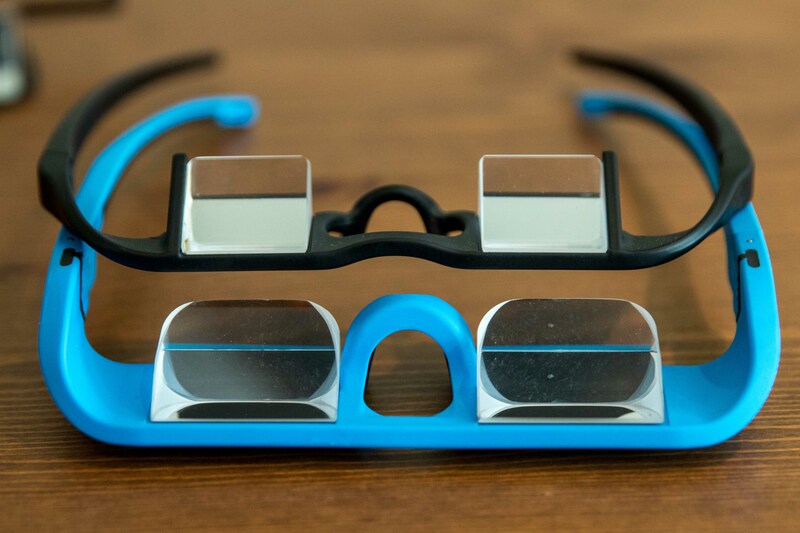 The flexing the arms on the CU glasses can flex the thin frame which impacts the image. 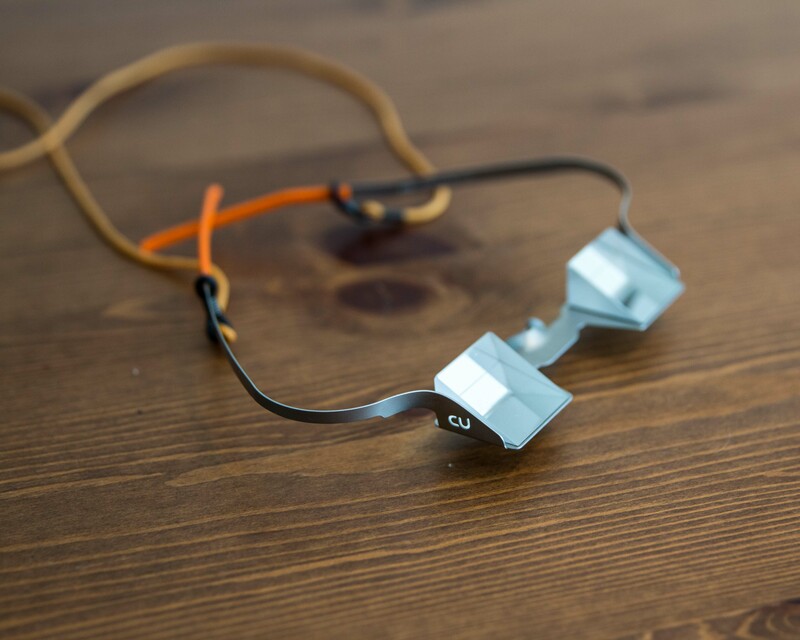 The CU belay glasses feature regular sized optics on a thin metal frame with flexible arms that don’t require hinges. I found that the thin metal frame was a bit flexible and would allow the lenses to twist slightly if I didn’t get them balanced right. This was especially hard if pushing the temples under a helmet or hat. Of course any twist in the frame would misalign the prisms and result in a slightly out of focus image. The optics themselves are fantastic. The package comes with the glasses, a hard case, lanyard and a lens cloth. 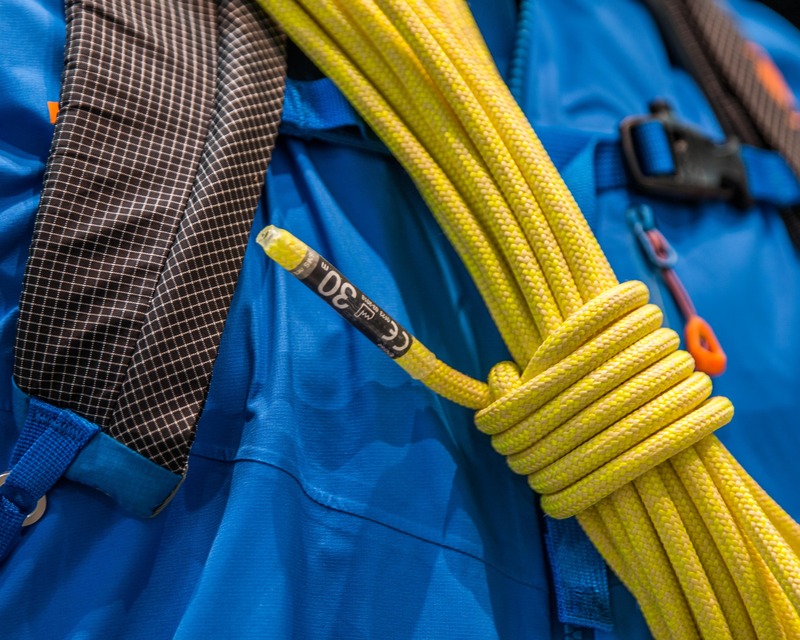 The provided case is not set-up for carrying on a multi-pitch. Overall: They work but better options are available. The similarities in design between the Y&Y and Tembo are quite obvious, scroll down and compare this photo with the Tembo photo. Available in a variety of colors the Y&Y belay glasses feature a design that looks to be based closely on the original CU glasses. That being said, they’ve made some small changes which has improved upon the old CU design: The thin metal frame was stiffened up and hinges added to the arms. This has really reduced the propensity for the frame to twist and misalign the prisms. The arms and bridge on the Y&Y Classic seem to come straight from a pair of drug store eyeglasses but are comfortable and functional. 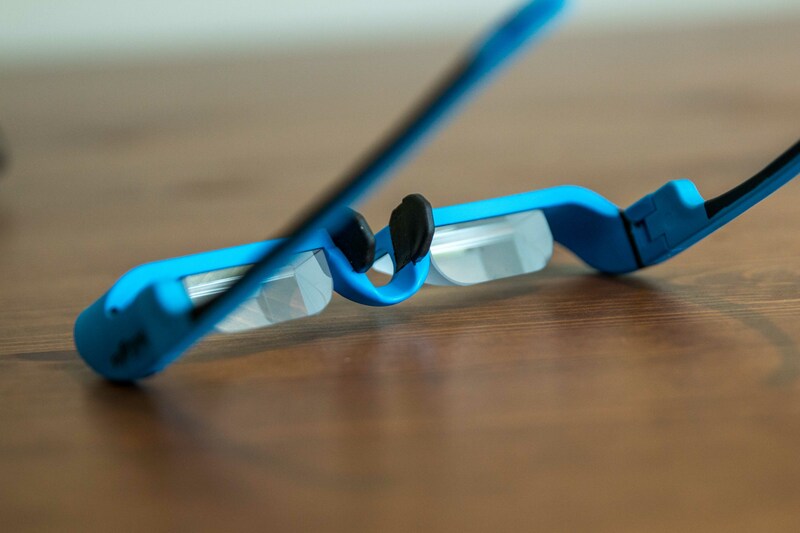 The arms and nose piece on the Y&Y belay glasses are very reminiscent of drug store eye glasses. A great way to get decent parts at a cheap price. So how do they perform? The prisms are roughly the same size as those used on the CU glasses (and all the glasses in the review except the Belaggles) and are crisp and clear. 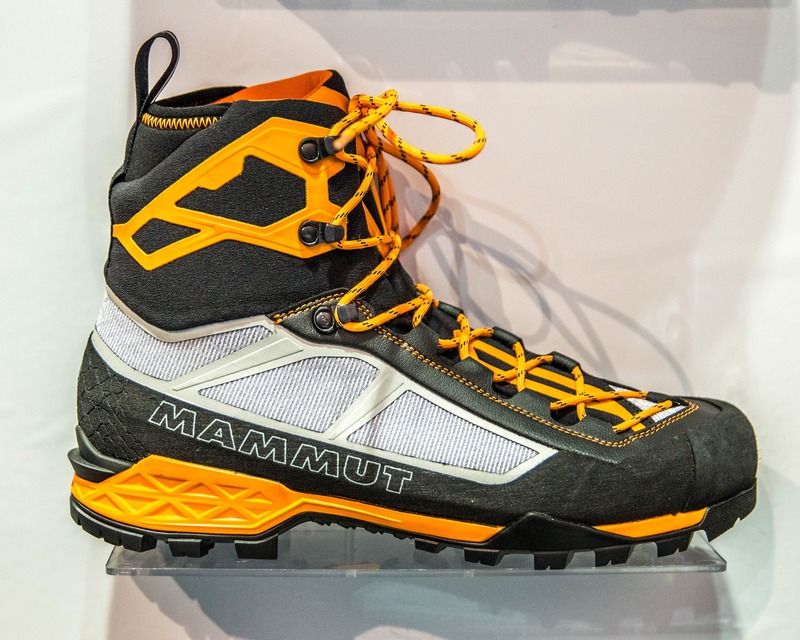 They’re also lightweight, comfortable to wear and portable enough to take up a multi-pitch. A bit pricey though. The package comes with the glasses, a hard case, lanyard and a lens cloth. 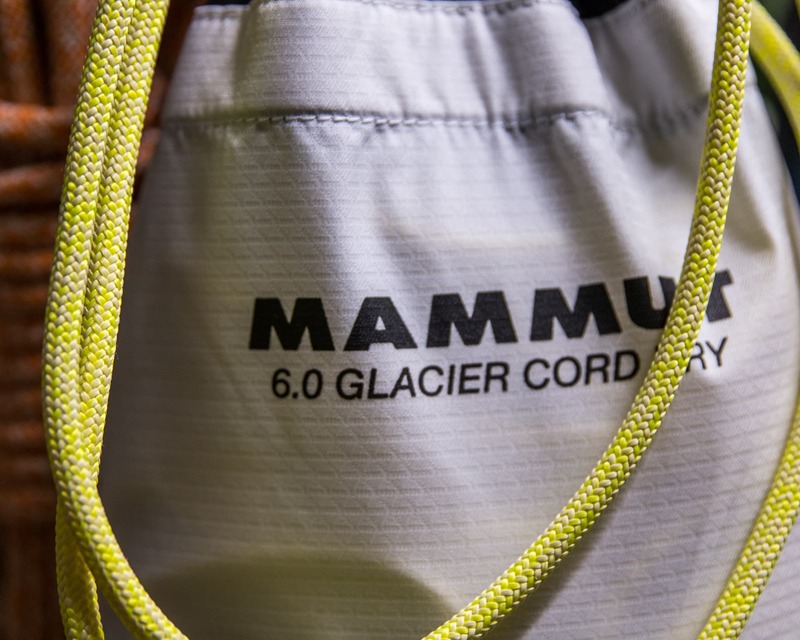 The rigid carry case is compact and has a carabiner loop for hanging them off a harness. Overall: A solid design but they seem a little pricy for what you get. 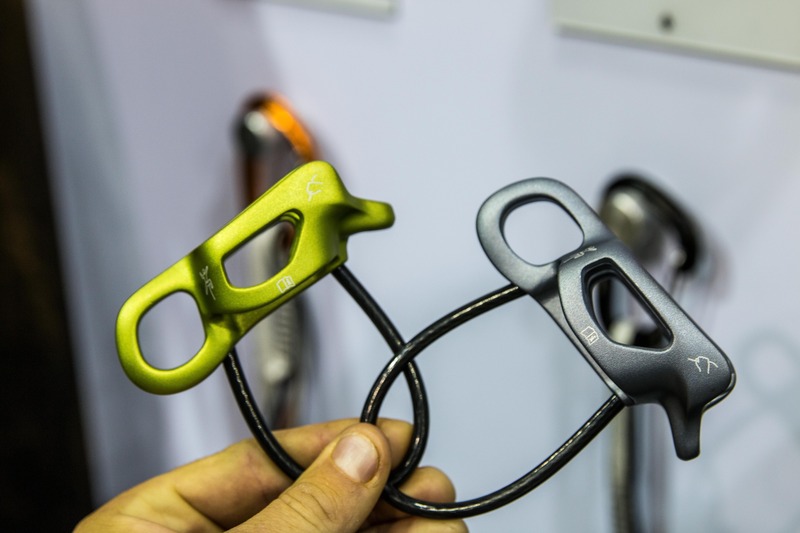 The Tembo belay glasses are almost identical and cost 30% less. 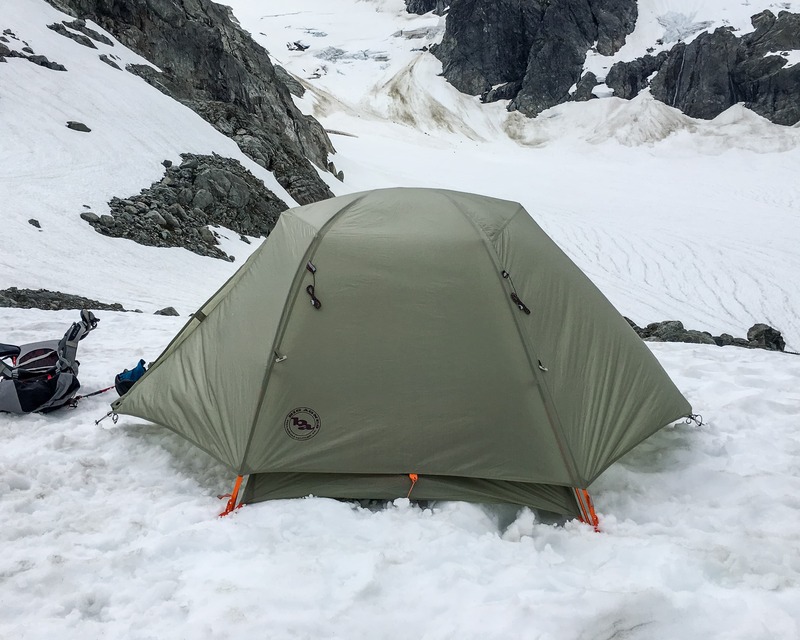 I was doing some research for this review and discovered that Tembo’s a local Vancouver based company (Black Sheep’s based out of Squamish). It’s great to see some local players on the market! But let’s get down to the review. 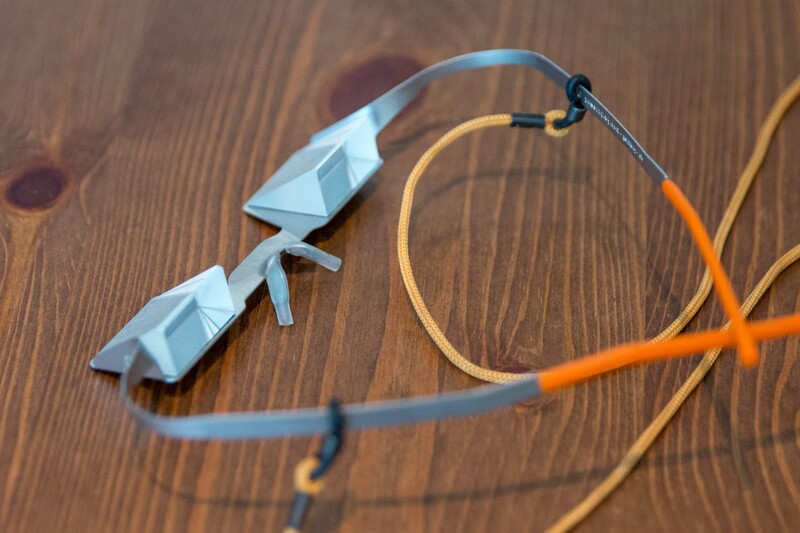 The Tembo belay glasses are a spitting image of the Y&Y glasses except for two key features. First, they only come in one color. That’s fine though as I don’t think we need our belay glasses to match our harness. Second, they cost way less. They’re the least expensive option that we looked at in this comparison offering the greatest value for your dollar. Of course there are several other smaller differences such as hinge location, magnification, etc. but nothing readily noticeable. The lanyard on these well used belay glasses isn’t stock but fashioned from some climbing tape. Tembo utilized the same size optics as all the other glasses, with the exception of the Belaggles, so of course they offer the same field of view. The prisms are high quality though they don’t seem to be quite as good as some of the more expensive glasses. Unless you’re comparing them side-by-side you’ll never be able to tell the difference though. 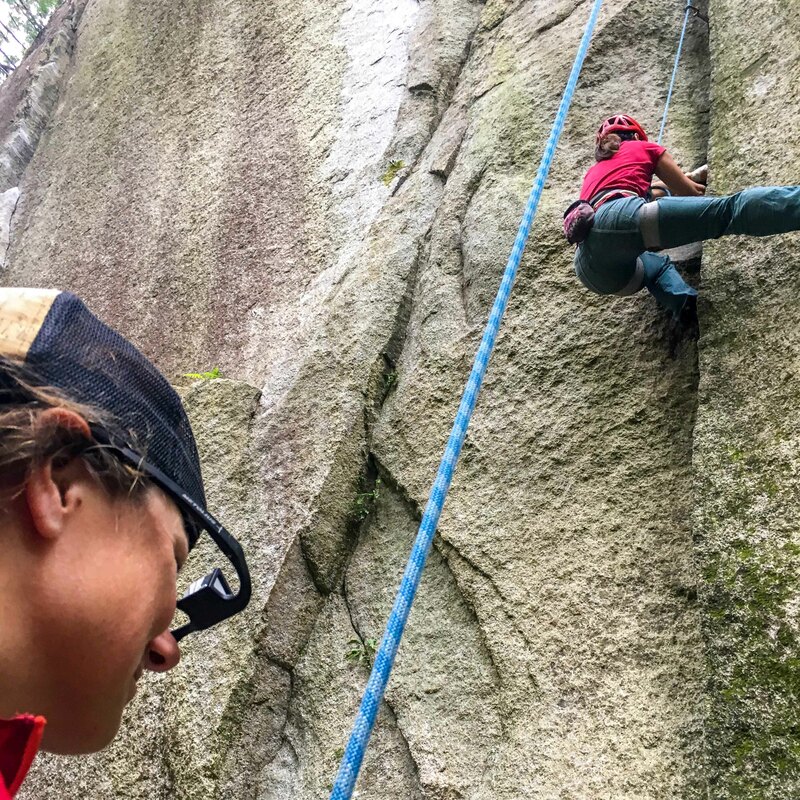 Overall: An inexpensive flexible frame option with decent optics that offers the best value of any of the reviewed belay glasses. Like all the flexible frame models they work great over a pair of sunnies. 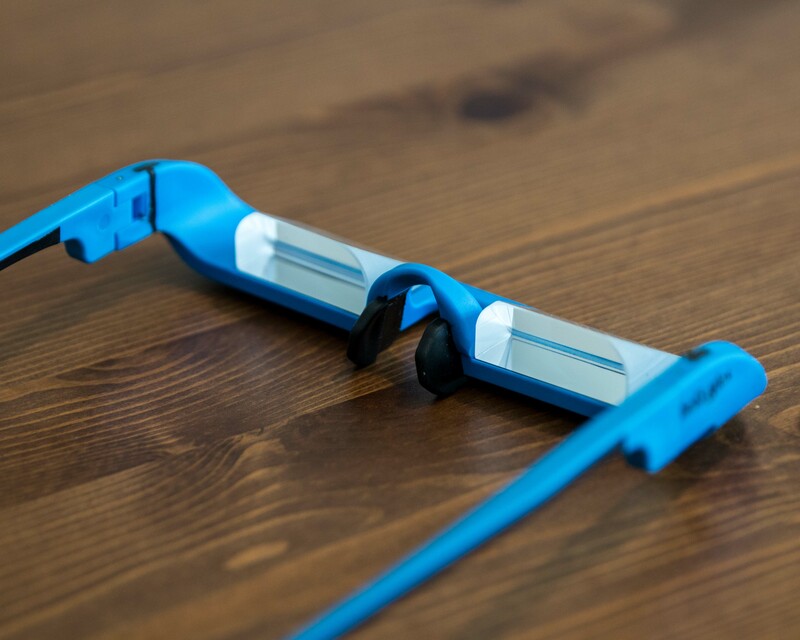 Now these guys are the Cadillac of belay glasses. Available in a variety of colors the unique design features a large rigid frame that has been designed to protect the lenses. 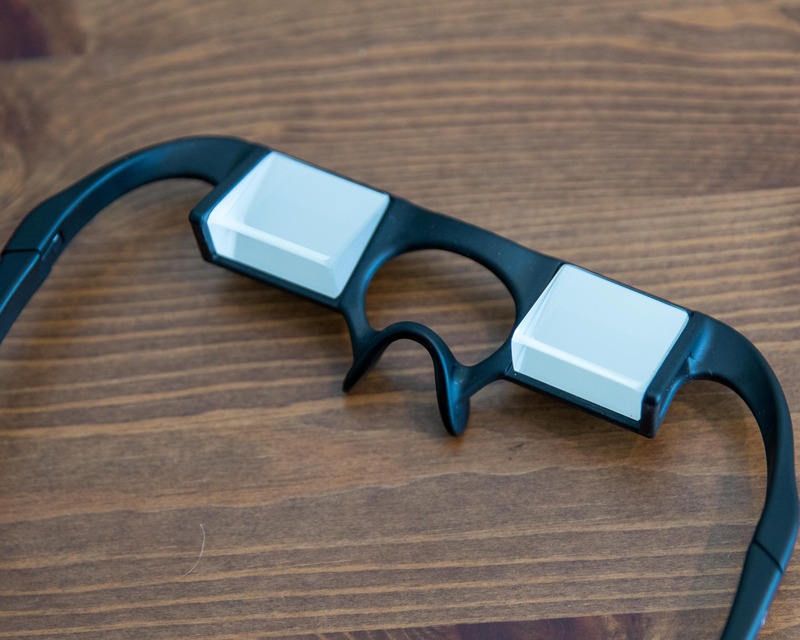 On a flat surface, the glasses can be set upright or upside-down without the lenses touching the surface. The sporty, backswept arms are fairly rigid allowing the glasses to easily be put on with one hand though they may be a little tight on people with bigger heads. The bridge is made of a softer plastic but isn’t molded or very flexible. I found it comfortable when the glasses were put on tight to my face but less so when perched lower on my nose. The lenses on the Belaggles are protected by the large frame. On a flat surface anyway. 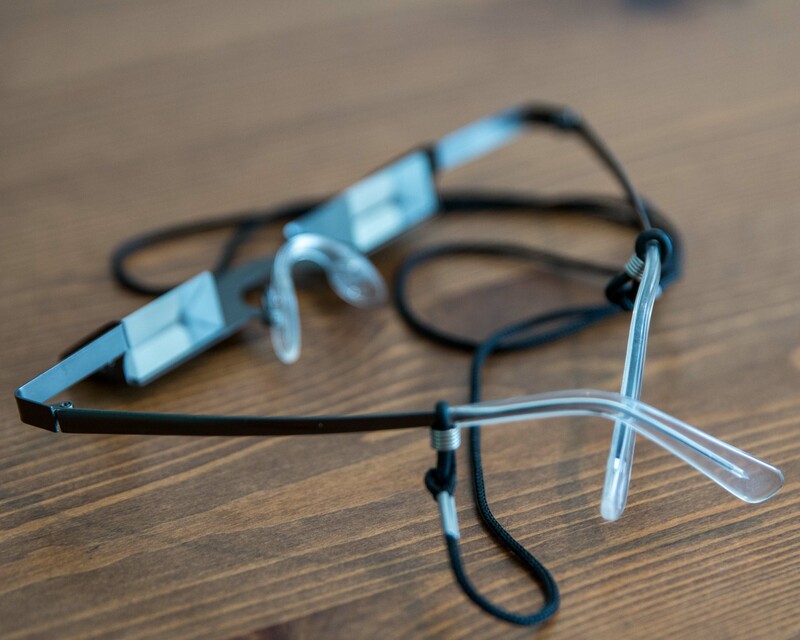 The high quality and clear optics on the Belaggles are almost twice the size of those found on other belay glasses. 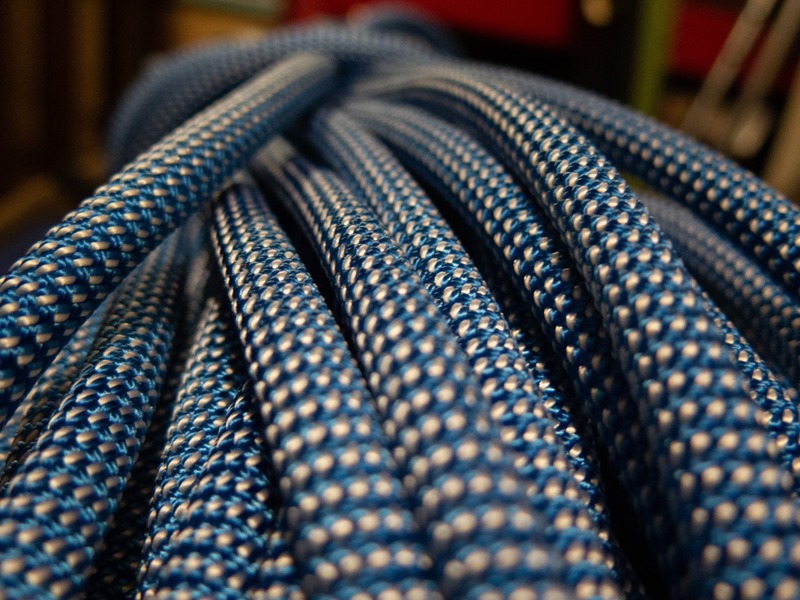 This serves a double purpose: the belayer has a wide field of view through the lenses which block a lot of the distracting movement that can occur at the base of the climb. Of course, like a Cadillac, the Blayggles aren’t light. 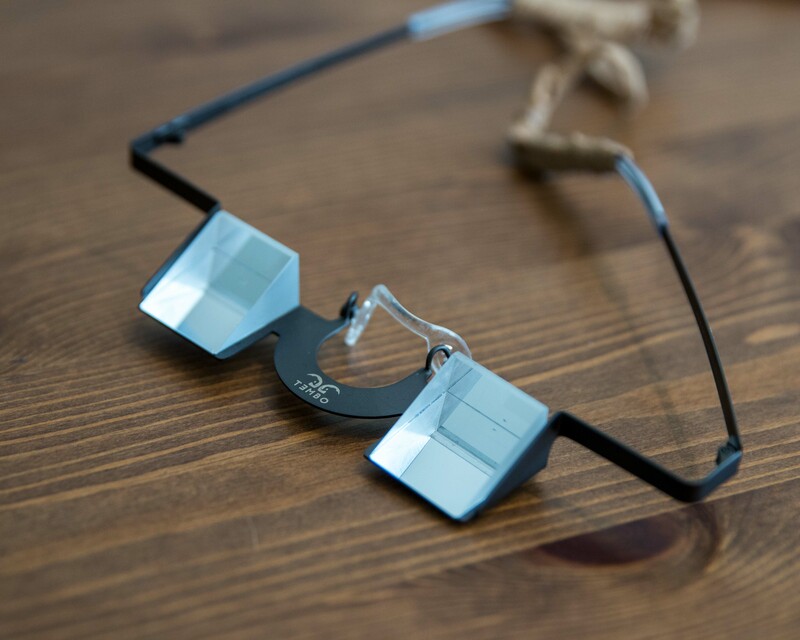 With the large prisms and sturdy frame they weigh in at about twice what some of the lighter glasses do. Of course that doesn’t mean that they feel heavy when worn, just that they’re heavier than some of the other options. Unfortunately they also don’t fit over a pair of sun or eye glasses like the other belay glasses do. The large lenses and frame of the Belaggles block distracting movement around the base of a climb but unfortunatly don’t work with eye glasses or sunnies like the other reviewed models. 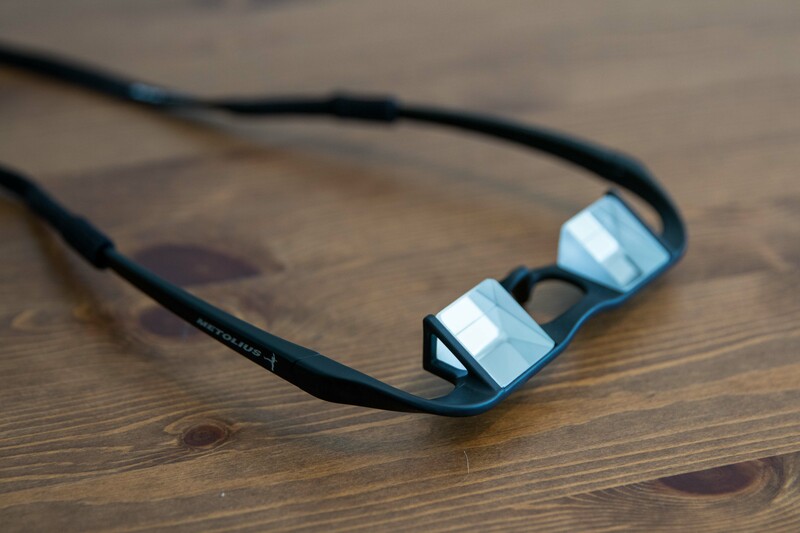 Overall: Unparalleled field of view through the crisp and clear lenses that also blocks distractions at on the ground. 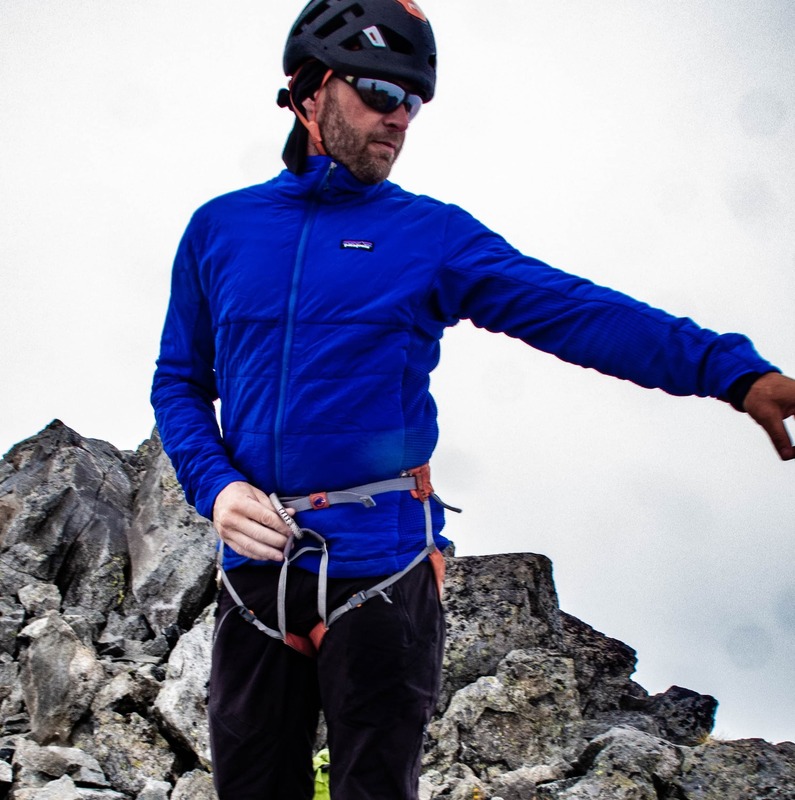 Recently released, the new Upshot belay glasses from Metolius are a simple, well thought out and well-designed option. They feature a ridged frame and sporty, backswept arms that make them easy to put on or take off, even with just one hand. They come in any color you want as long as you want black and are comfortable to wear. Of course the rigid frame adds a little weight making them around 15g heavier than the lighter flexible frame options. When comparing the Upshot glasses to other models I noticed that the bridge wasn’t made of a soft material or padded at all. I didn’t notice this lack of padding before comparing several belay glasses side-by-side, likely because the bridge is nicely shaped. 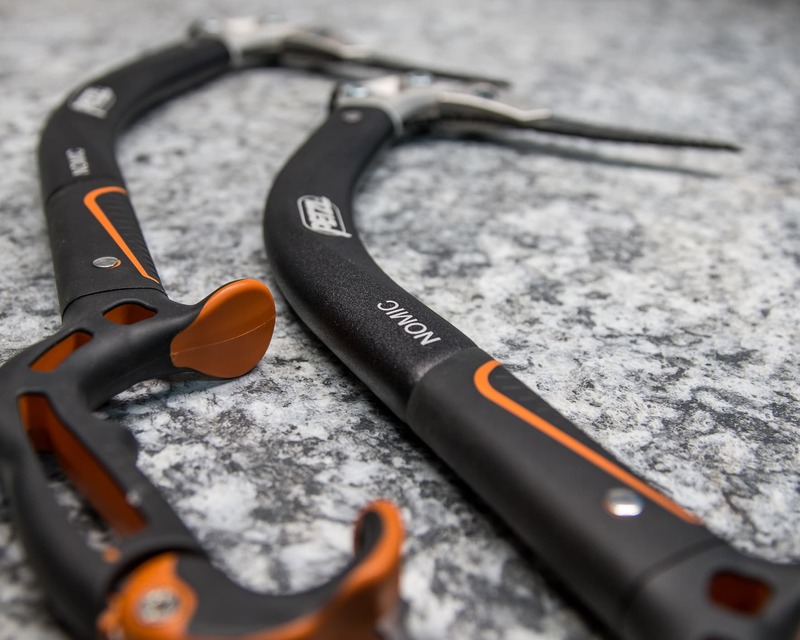 However, it is a bit less comfortable than some of the other options and may result in some discomfort if the glasses are left in the same spot for a marathon belay session. While not padded in any way the bridge is well formed and sits well on the nose. 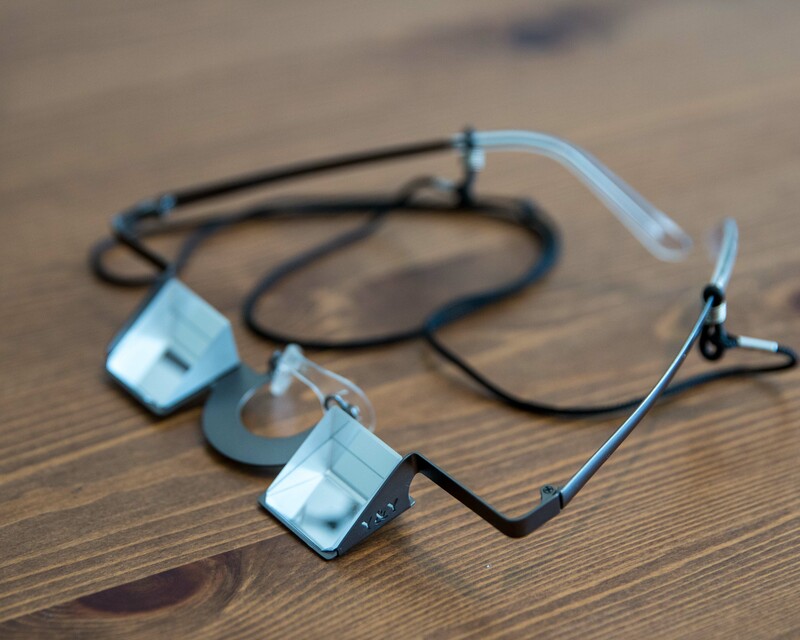 The optics are a similar size to all the other belay glasses but the Belaggles and offer a clear and crisp upward view that’s easy to get used to. At $60 they’re one of the least expensive options that we reviewed and offer great value! My personal favorite as I like being able to put them on with one hand. The package comes with the glasses, a hard case, lanyard and a lens cloth. 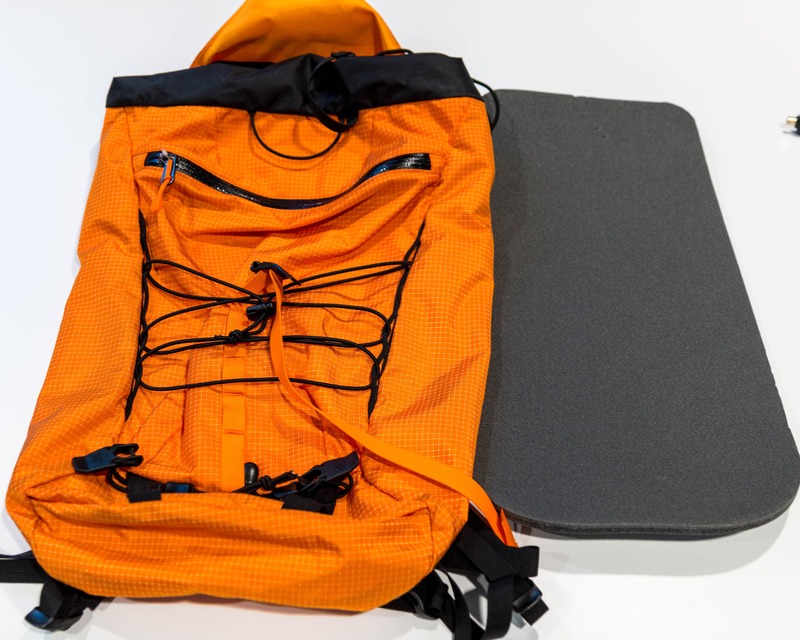 The rigid carry case is compact and has a carabiner loop for hanging them off a harness. The lanyard slips onto the end of the arms so can come off if pulled too hard. Overall: Editor’s Choice! These inexpensive belay glasses have a sturdy frame, decent optics and are easy to put on with one hand. 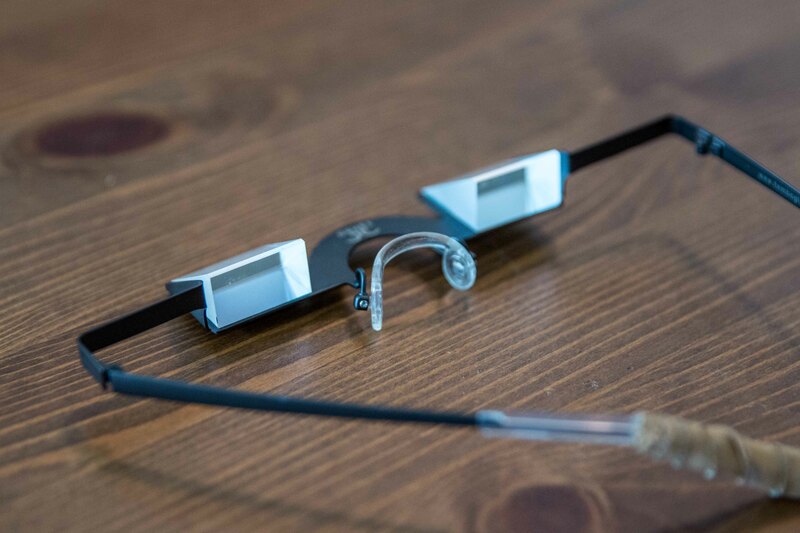 Some of the above belay glasses were provided for review and testing while others were not. Of course this did not influence us in any way.